Success! Kato from Uganda raised $185 to fund hydrocele repair surgery. 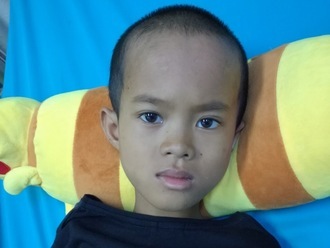 Kato's treatment was fully funded on February 13, 2019. Kato underwent hydrocele repair surgery. Kato’s hydrocele repair went well. He is no longer at risk of discomfort and pain. Kato is a student from Uganda. He is the first of three children in his family. For four months, Kato has had a hydrocele, which is a swelling in a sensitive area. This hydrocele causes him swelling and discomfort. Fortunately, on January 22, he will undergo hydrocele repair surgery at our medical partner’s care center. Our medical partner, African Mission Healthcare Foundation, is requesting $185 to fund Kato’s surgery. Once completed, this procedure will hopefully allow him to live more comfortably and confidently. Kato's case was submitted by Joan Kadagaya at African Mission Healthcare Foundation in Uganda. Kato was submitted by Joan Kadagaya, Curative Medical Support Program-Partner Representative at African Mission Healthcare Foundation, our medical partner in Uganda. Kato's profile was published to start raising funds. 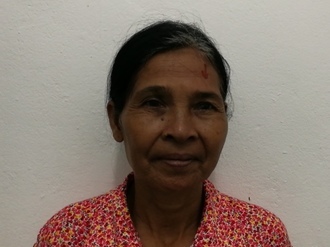 Kato received treatment at Holy Family Virika Hospital. Medical partners often provide care to patients accepted by Watsi before those patients are fully funded, operating under the guarantee that the cost of care will be paid for by donors. Kato's treatment was successful. Read the update. Kato's treatment was fully funded.